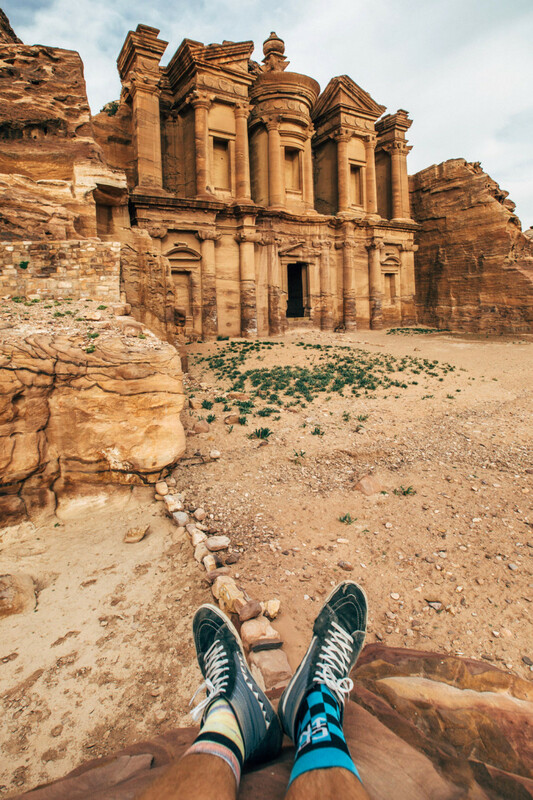 JORDAN’S MOST-VISITED tourist attraction deserves every pair of feet it gets. 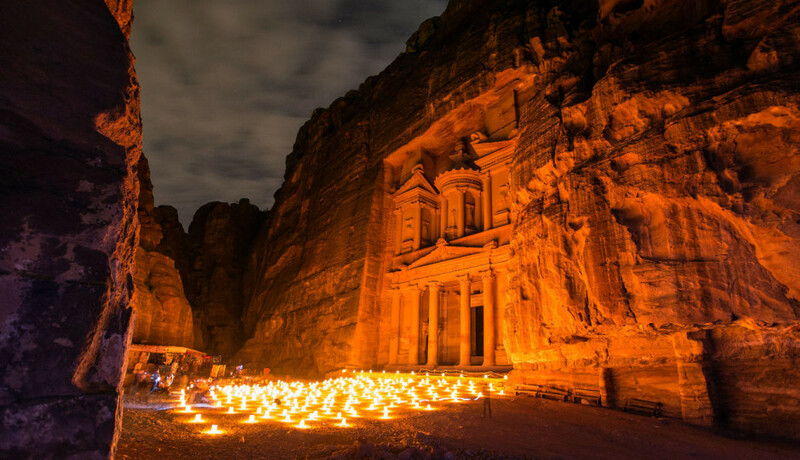 Petra is incredible. You’ve seen the pictures, you know what’s coming, but even still you’re not prepared when you finally step through that narrow crack in the rock. 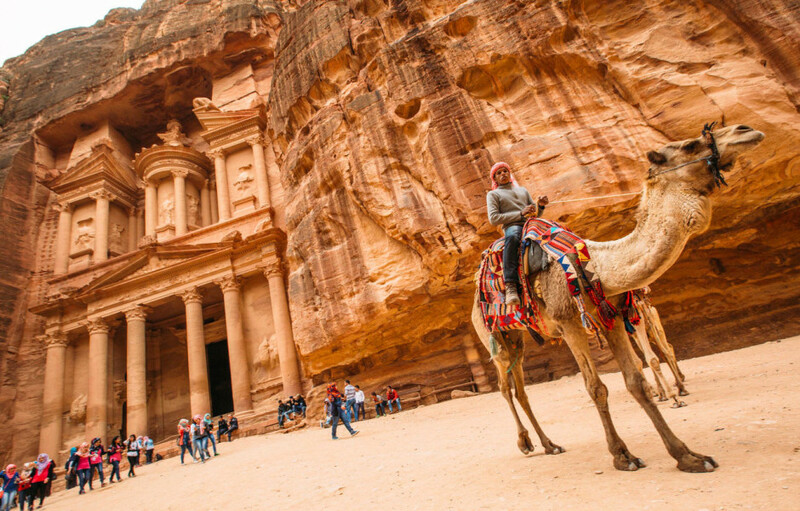 Petra was established as the capital of the Nabataean kingdom as early as 312 BC, but it took centuries more for the hundreds of palaces, monuments, and tombs to be cut out of the delicate, rose-pink sandstone. The most famous images show only one of these, the Treasury, but the site sprawls on for miles beyond it. 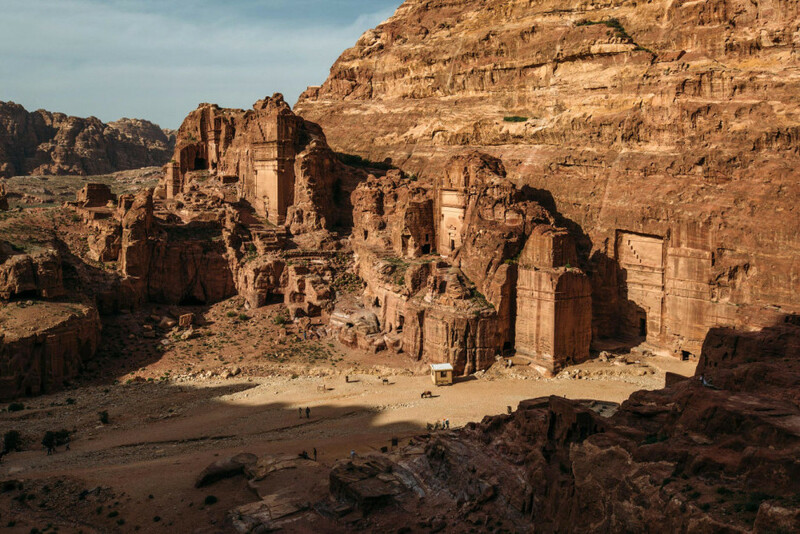 Here’s a more comprehensive look at this wonder of the ancient world. And then there it is. 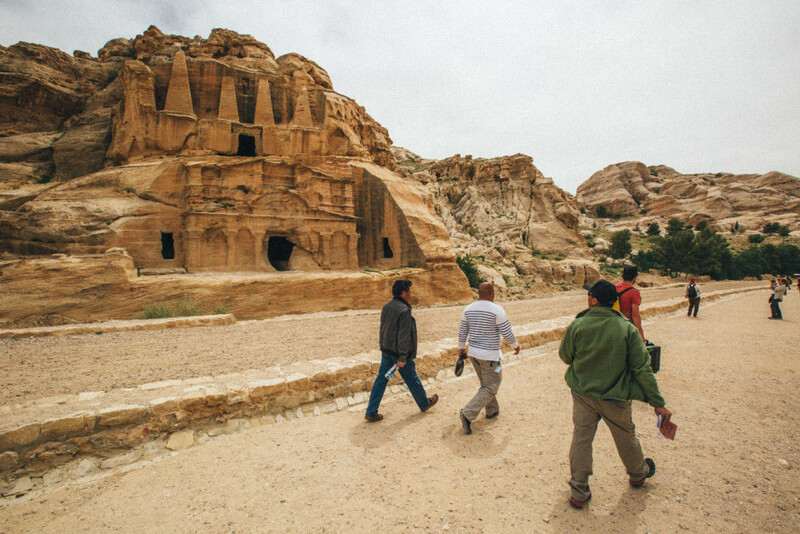 You come around the last bend of the Siq and catch your first glimpse of the Treasury. It's a moment you'll remember for the rest of your life. 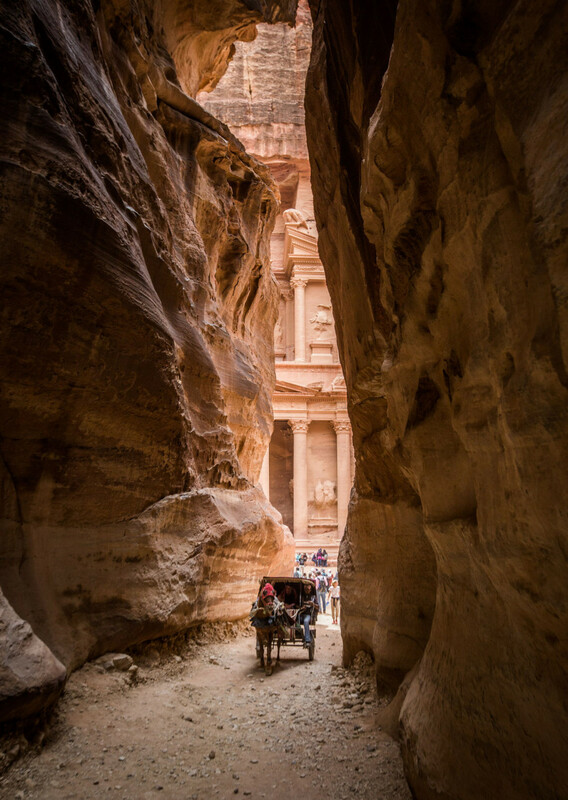 There's a buzz around the Treasury, with people coming through the Siq by camel and horse-drawn carriage, blown away by what they're seeing. 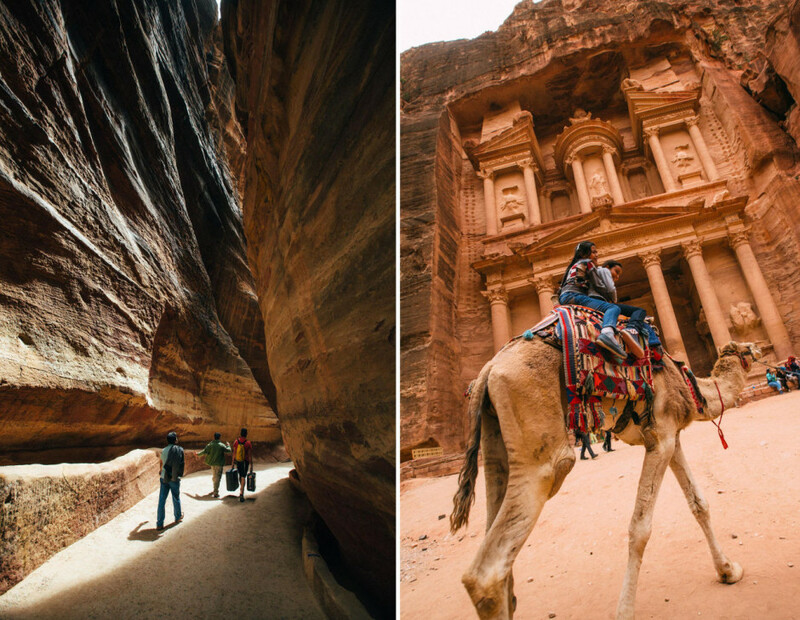 The thing that many people don’t know is that beyond the Treasury, Petra opens up into a wider valley where there are 800+ more carved monuments. You need at least a full day to see it all, and preferably more. Wear solid walking shoes or boots and pack plenty of water. You don't want to waste any of your precious time at Petra because you came unprepared. Many locals depend on tourism at the site for their livelihood. 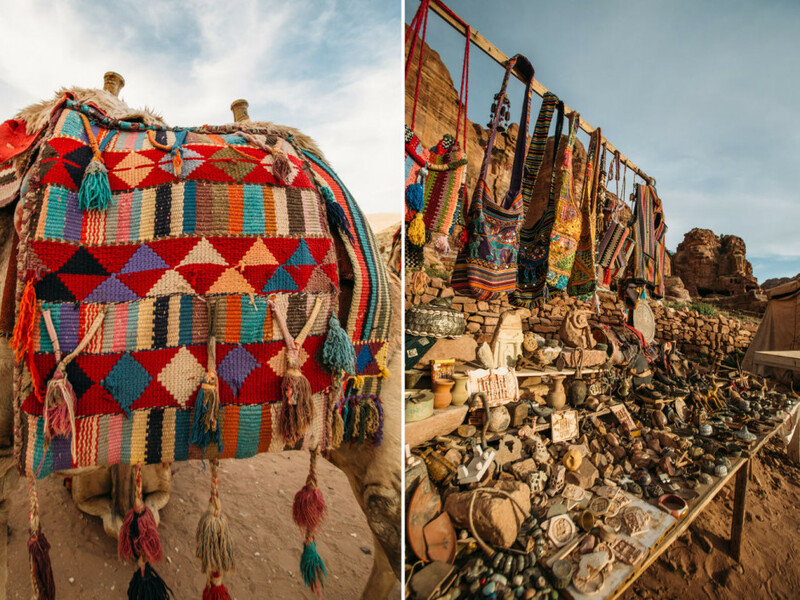 Here, a colorful array of textiles contrasts with the marbled walls of the canyon. And now it's time to catch your breath. 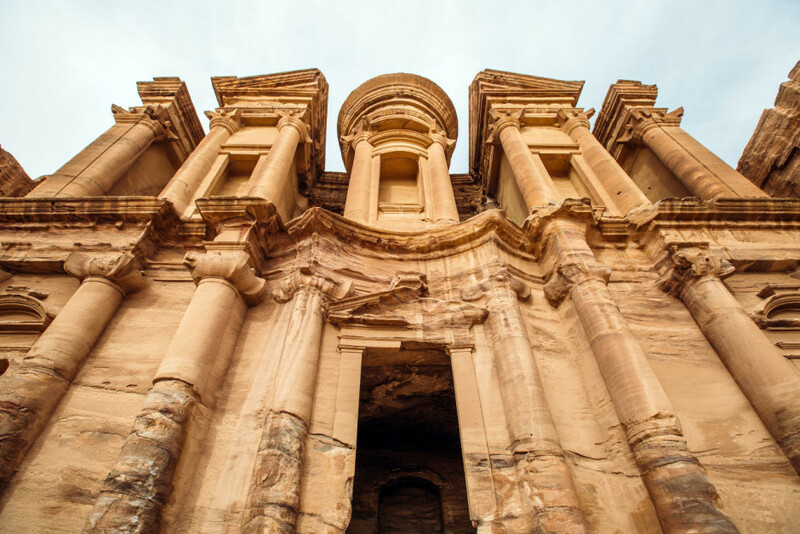 Arguably more impressive than the Treasury itself, Ad Deir, or the Monastery, feels more like a free-standing structure than a mere facade. Measuring 150 feet in both height and width, it extends deep into the mountain. The right panel above shows the interior of the Monastery, lit only by the sunlight streaming through the absolutely massive doorway, which is 25 feet tall. 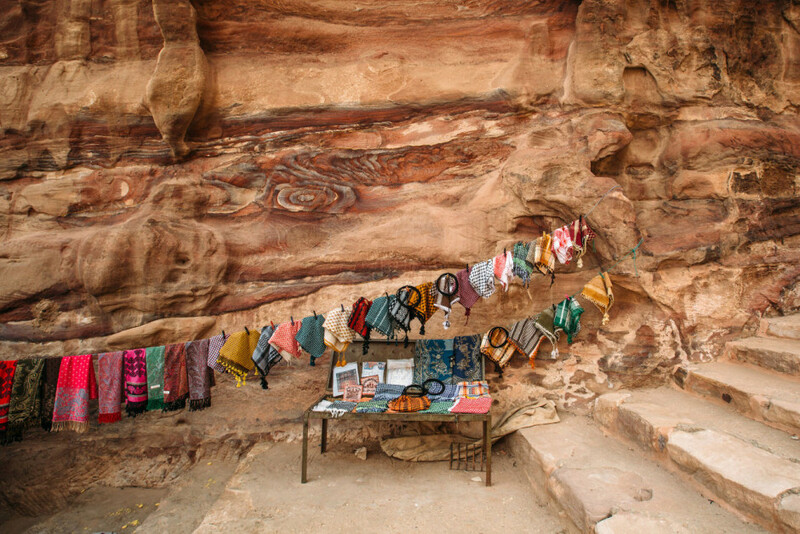 Even outside of the carved tombs, the rock of Petra holds surprises for those who look closely, whether it's the swirling colors of the stone itself, or a series of ancient Aramaic inscriptions. 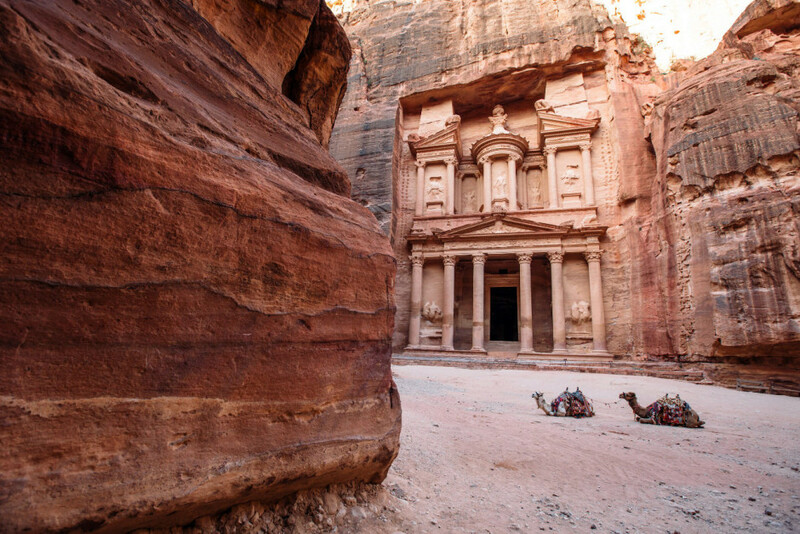 It's important to note that all of the features of Petra are old and, as such, fragile. 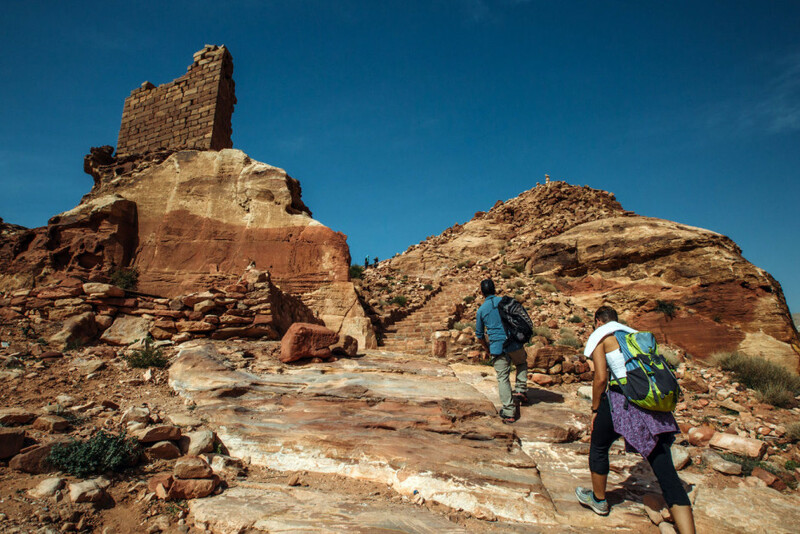 The site gives visitors an awesome opportunity to climb among the ruins (far more freedom than you'd ever have at a site in North America), but make sure to be careful where you tread and what you touch. We want this place to live on for generations. 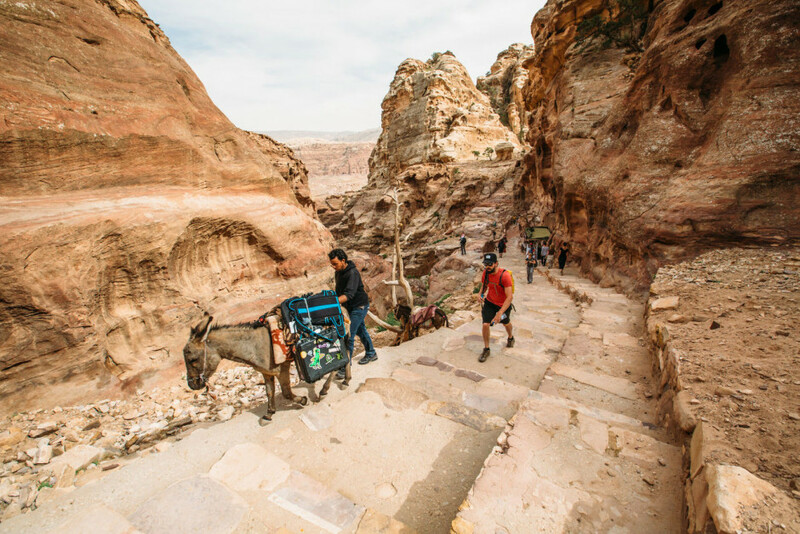 A worthy detour off the main route, the High Place is reached by a half-hour climb and will give you some of the best views of Petra and the surrounding landscape. 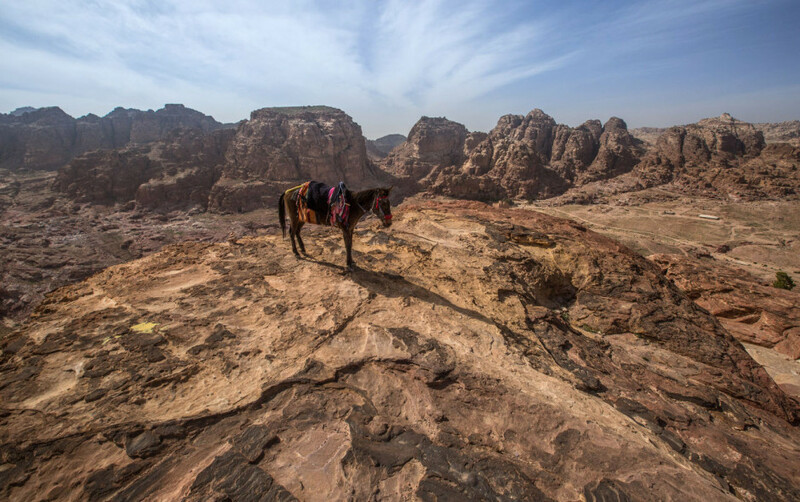 A pack mule enjoys the High Place views, thankful that animal sacrifice no longer takes place here. 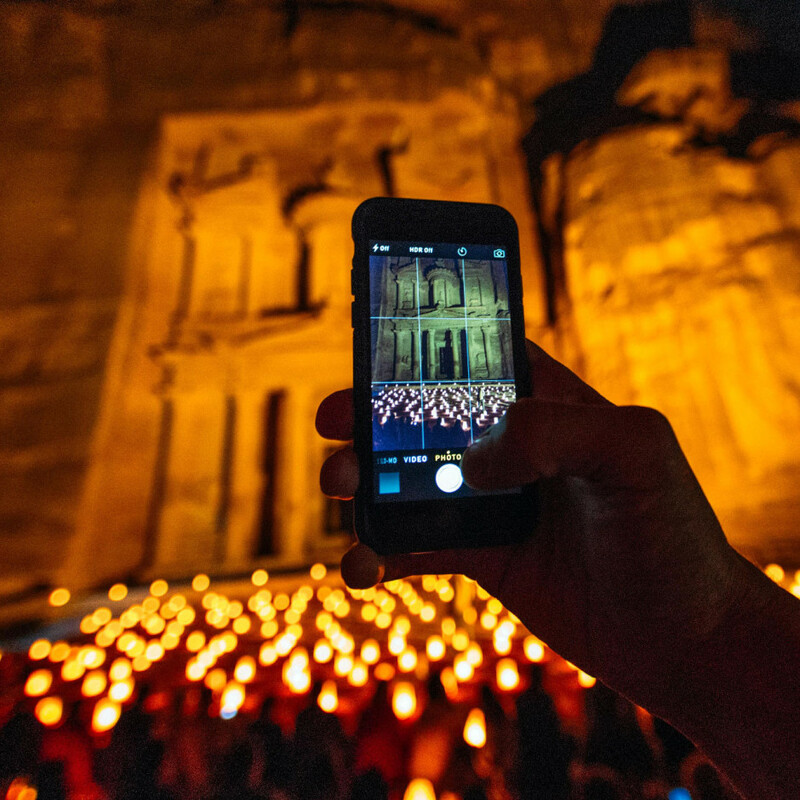 The Petra by Night experience serves as the climax of your visit. 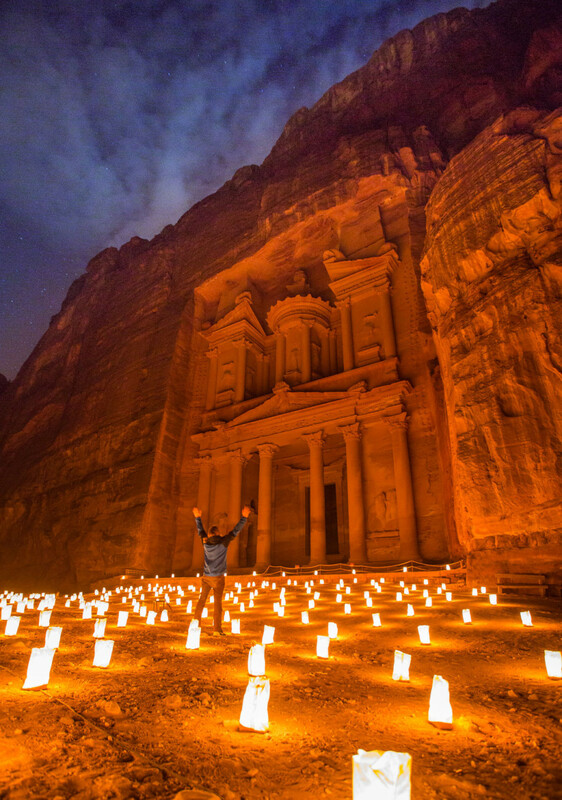 ...and emerge at the Treasury to the light of over 1,000 lanterns. You will not be the only one pulling out the camera. 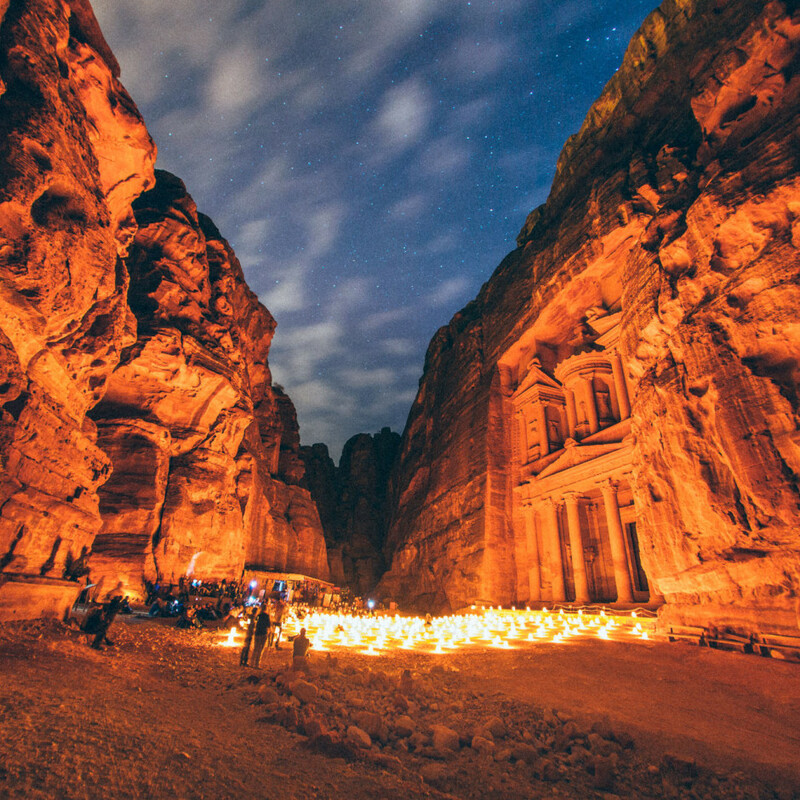 The tragic instability afflicting many of Jordan's neighbors has hobbled the country's vital tourism industry. 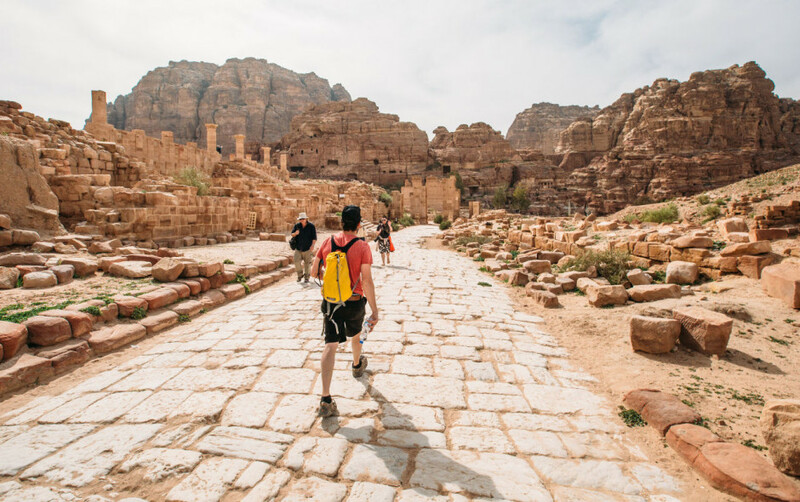 Go now and not only will you have incredible places like Petra practically to yourself, but you'll be doing your part to help the people of this special country weather the storm.